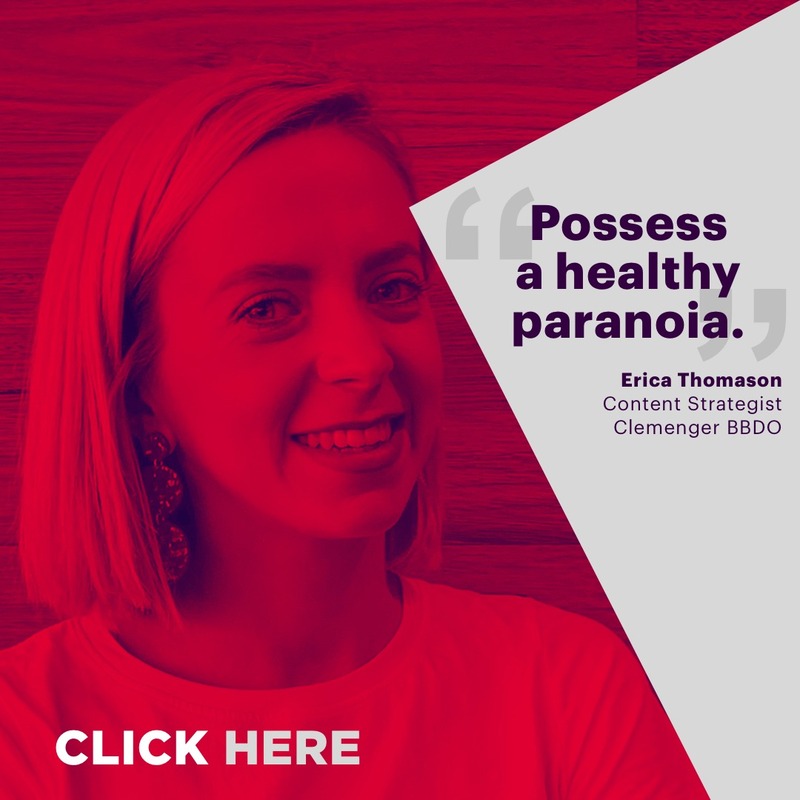 Clemenger BBDO is a full-service agency offering a full suite of capabilities including brand strategy, integrated creative development, CX, digital services, CRM, PR, design, shopper and activation. In the last 12 months the agency has been named world's most creative agency at Cannes Lions and D&AD. We're looking for a passionate and talented Digital Designer to join our interactive team on Myer. As a Digital Designer, you will create some of the country's leading online retail advertising and work alongside a high performing team who are the best in the business. Myer is a very big account; the workload is constant and the demands are high. This is an exciting opportunity for a Digital Designer to work in a leading advertising agency with a great culture who care about creating the best possible work and genuinely love what they do. As a Digital Designer you'll work with the team to produce designs from initial concept through to final production. You will create and produce creative work supporting Myer's campaign in digital channels as well as work to support the marketing calendar on their e-commerce website. You will have strong design skill sand a keen interest in UX Design. You will build strong internal relationships and work collaboratively with the creative team, other designers, producers and developers to bring Myer to life online. Understanding of design of general digital components, such as email, websites and digital display banners. 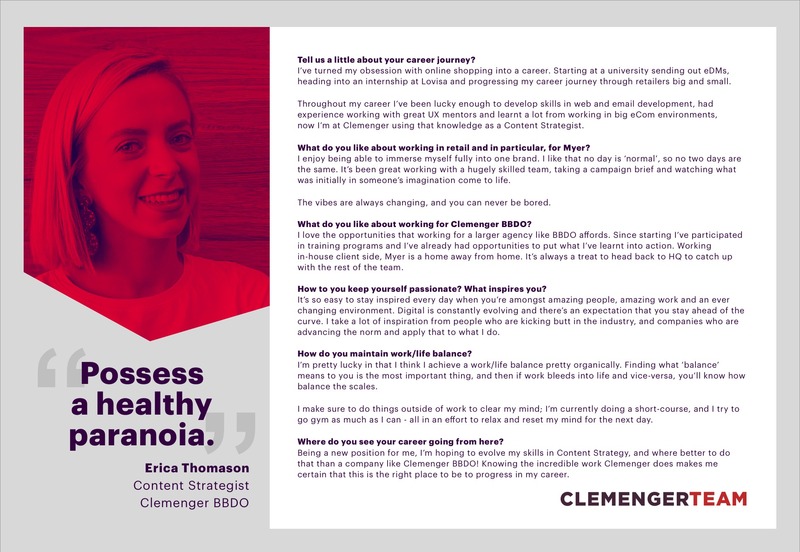 At Clemenger BBDO the thing we care about most is creativity. Or as we call it, ‘the work, the work, the work'. It's what makes BBDO different. We believe the work is the only true measure of an agency. The work is where the brand meets the consumer. The Work is what touches their hearts and minds. The work is what leads to the sale. The work is simply everything we create to reach the consumer. All our resources, all our targets, all our disciplines, are devoted to the work that is unique, powerful and convincing. In the absence of great work, nothing else matters.